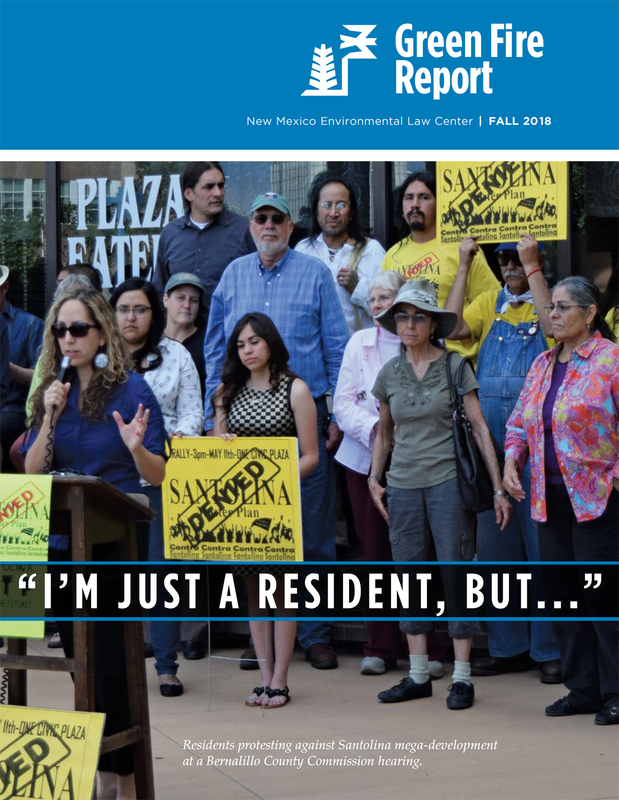 The New Mexico Environmental Law Center publishes the Green Fire Report newsletter regularly. Issues are available here. Want our monthly eNews emailed directly to your box? Sign up here! Download the Acrobat PDF version of the Fall 2018 Green Fire Report here. All Green Fire Times archival publications are offered here as Acrobat PDFs. in the fight for environmental justice.